I can't believe how fast my week off from work has gone. This is what I got up to. Monday I went and saw The King's Speech excellent movie can highly recommend it. Tuesday we went to Geelong and to the Wool Musuem where they had some wool quilts on display which were all very lovely. Sorry no photos were allowed. Wednesday I got my hair done. 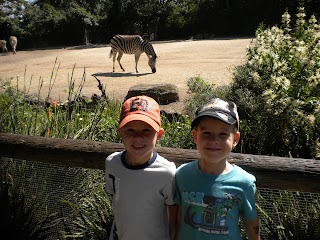 Thursday I went to the Melbourne Zoo with my sister, her children and my Mum. The elephants including the babies hiding in between. 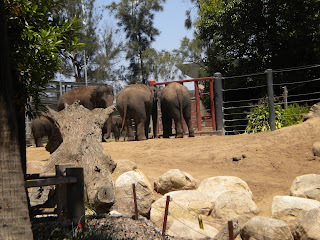 It was great to be able to see them very cute. 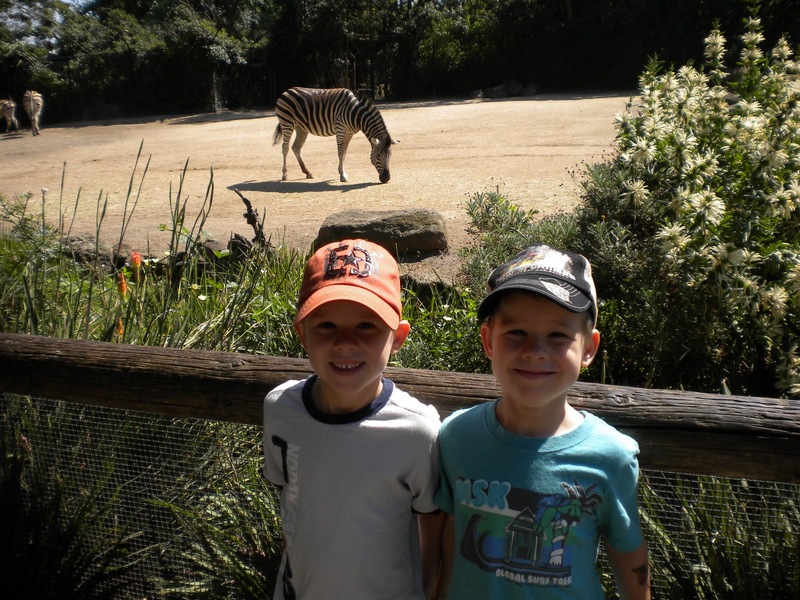 Thomas and Joshua with the zebra. 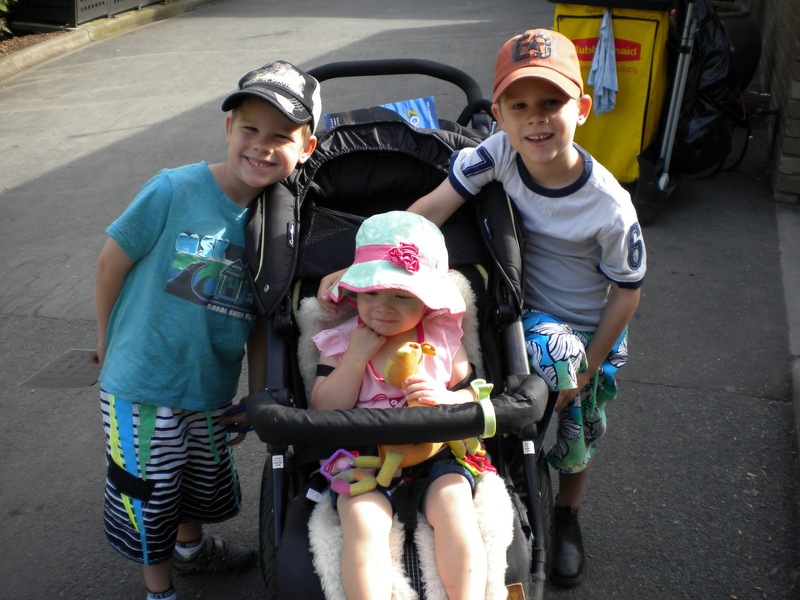 Joshua, Mikayla and Thomas ready for a fun day out. Friday I went and did some shopping. I also managed to work out my new Netbook. Saturday was a day of rest at home which worked out well as it was rather warm. Between all this I did manage to do some sewing and I am quite proud that I have finished two projects already this month and a couple of nearly finished. The above is a jelly roll quilt I made using the Bliss range of fabric. 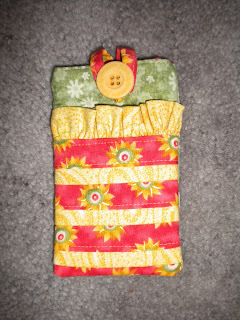 I have made it as a gift for my boss' wife who was recently diagnosed with cancer. 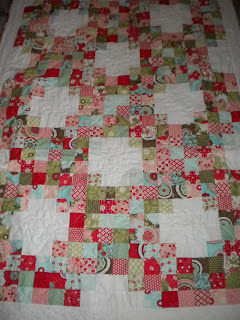 I have quilted it myself and in the border I have done curves on the machine which is a first for me. I did the hearts by hand in the white blocks as they were a bit too wonky when I tried on the machine. 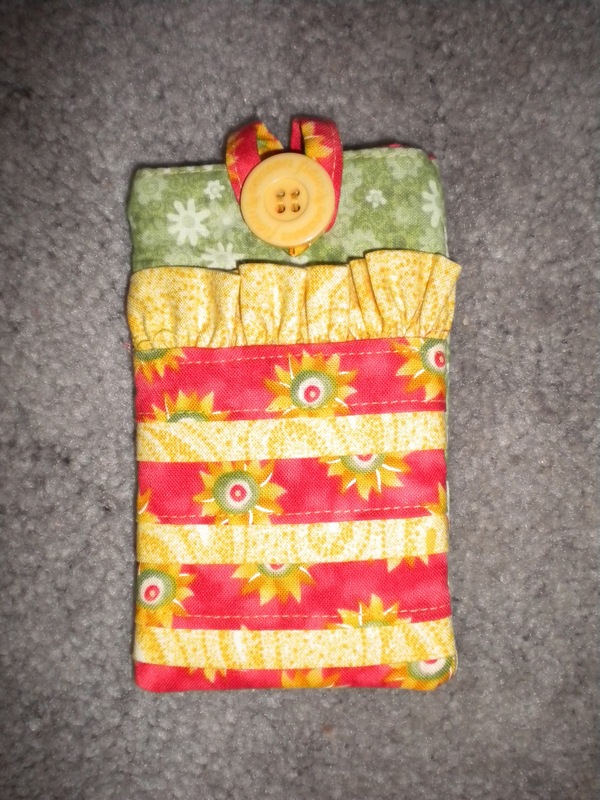 This is an iphone holder from Janelle Wind's book Pieces of Me which I have made for my friend Rachel whose birthday it is today. Happy Birthday Rach. It was so quick and easy to make and I am sure you could use left overs to whip some of these up. 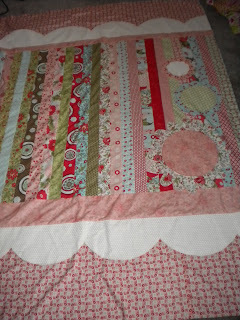 Lastly is a quilt top I think I will get this one professionally quilted. 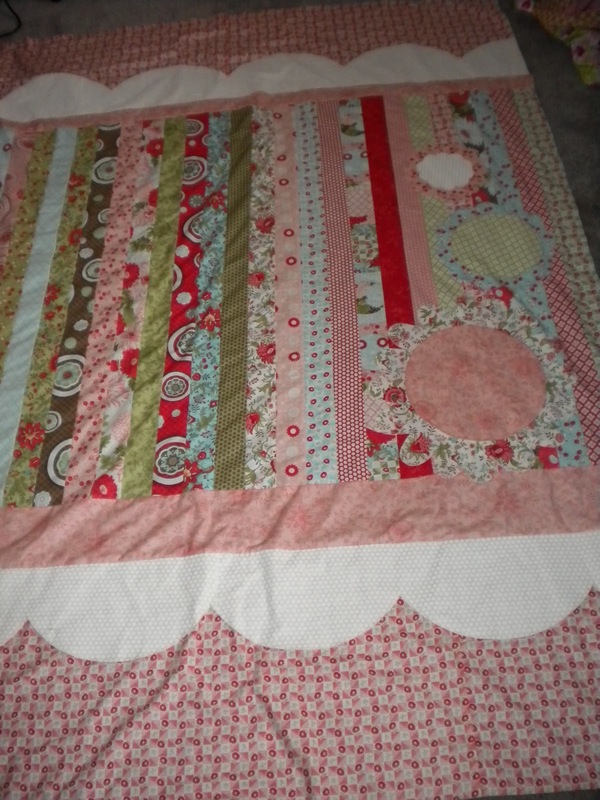 It is from Camille Roskelley's book Simplify and is also using Camille's fabric Bliss which she designed with her Mum Bonnie. So that was my week I hope yours was as enjoyable. Until next time happy stitching. 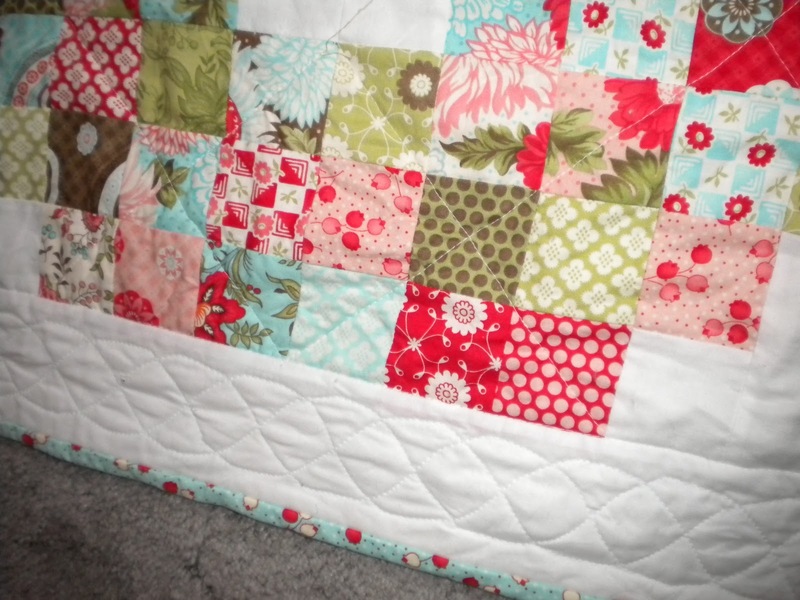 I have some binding to stitch while I watch t.v. tonight.